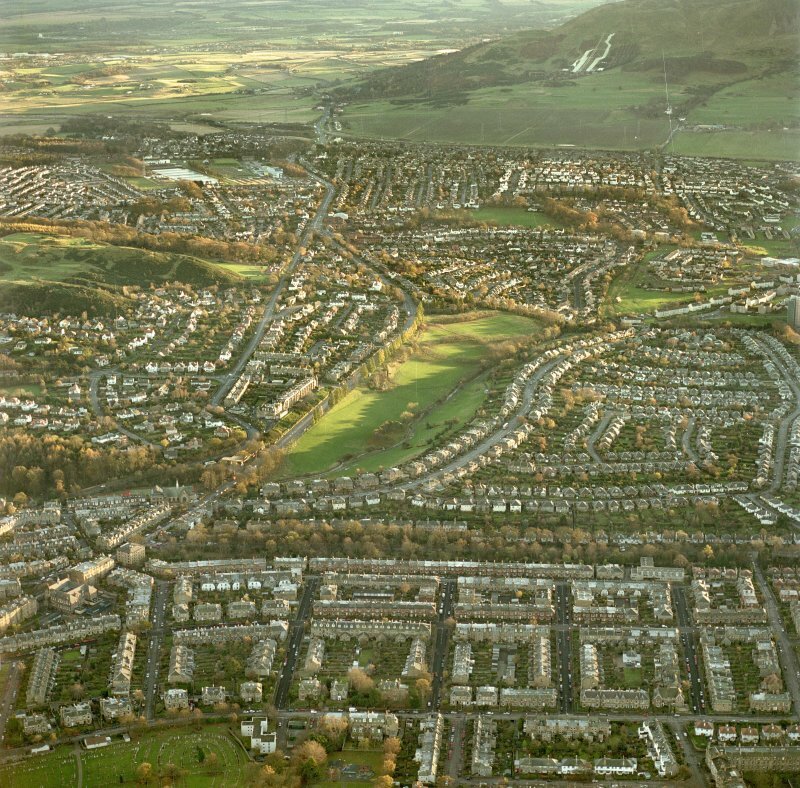 General oblique aerial view looking across the city towards the artificial ski slopes, taken from the NNW. 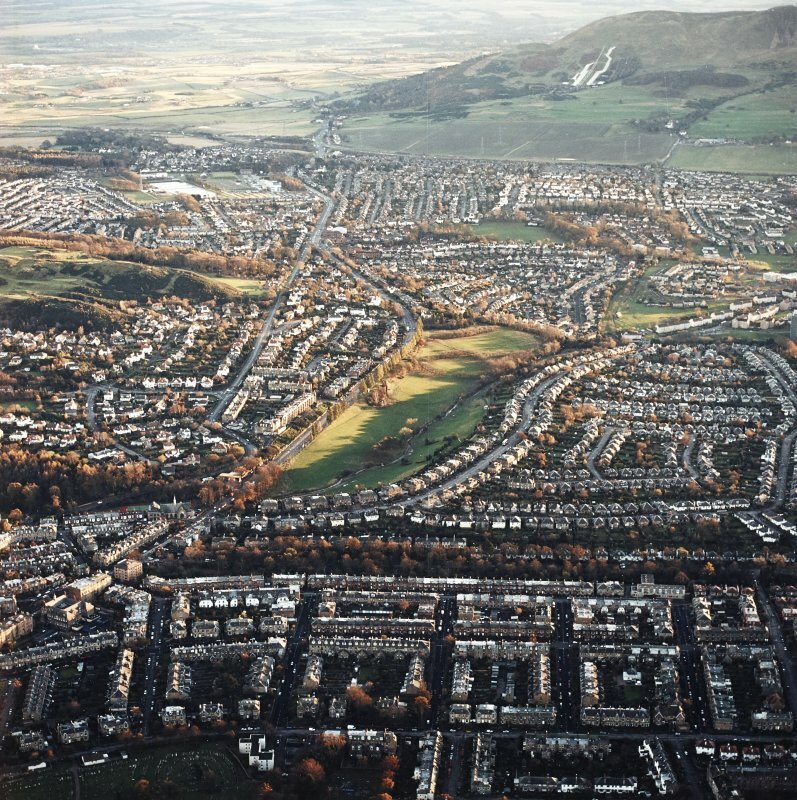 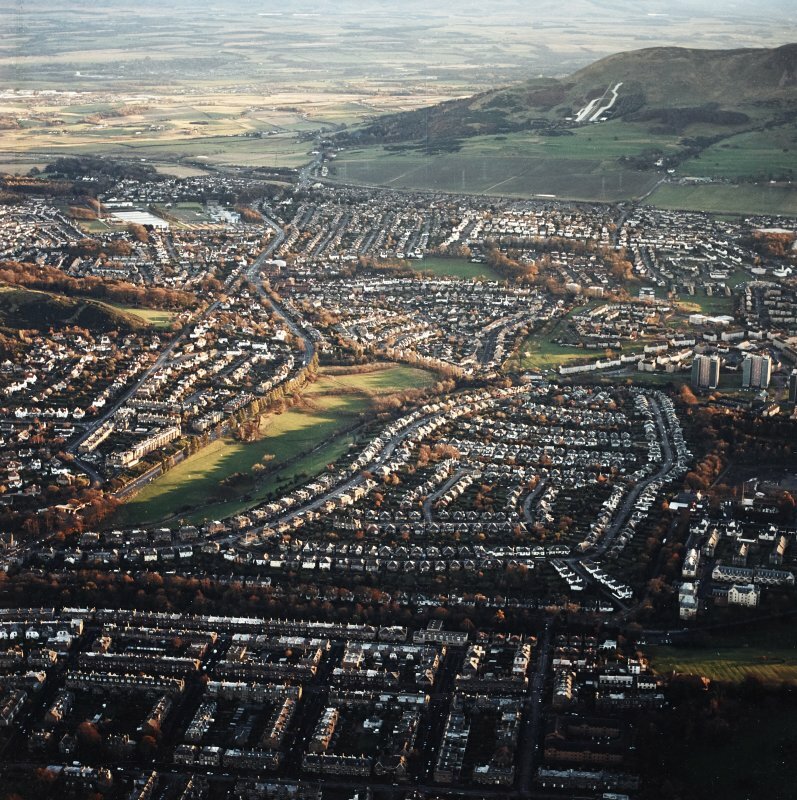 Edinburgh, oblique aerial view looking across the city towards the artificial ski slopes, taken from the NNW. 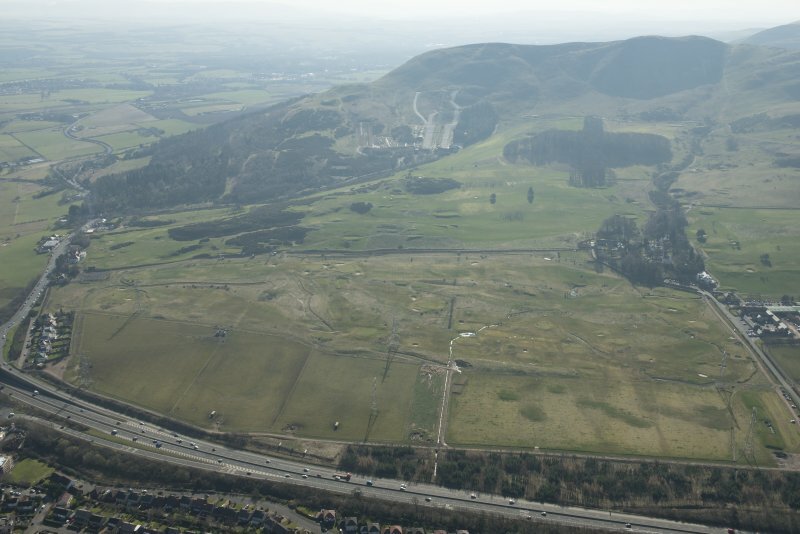 Oblique aerial view of Lothianburn Golf Course and Hillend Ski Slope, looking to the S.